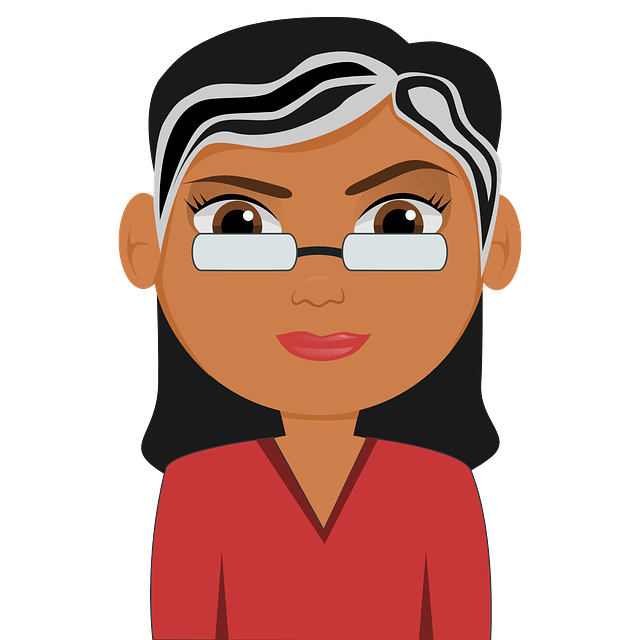 How to Use Alcohol to Treat Head Lice Effectively? As per American Academy of Dermatology, if your child is having the below symptoms, it is time to check her scalp or hair for head lice. Feeling that something is crawling on the head. Swollen lymph nodes in the back of the head. Redness or sores on the scalp. If you or your children have been experiencing these symptoms then it is time to look out for some solutions to get rid of these tiny bugs. Prescribed medicines or over the counter solutions can be very toxic. And head lice have become resistant to these methods so they don’t eradicate the infestation. Natural methods are still the most effective ones in removing the head lice. One of them that we are going to discuss today in this article is alcohol. It may sound a little weird but alcohol has been used by many people successfully in removing the head lice. Does Alcohol Work for Head Lice? Rubbing alcohol which contains 70% solution in isopropyl alcohol by volume is a disinfectant which is powerful enough to kill the head lice. It dissolves the gummy texture that helps the nits to stick to the hair shaft. It prevents the head lice from the sucking the blood. 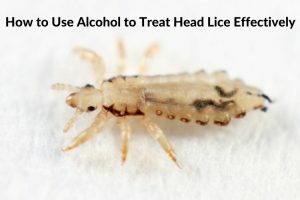 How to Use Alcohol for Head Lice? Alcohol can be used in many ways to remove these tiny critters. We have mentioned them below for you. Try any of them and achieve the results. Bend over a tub or basin and pour alcohol onto your hair. Using your fingers, gently massage the alcohol to spread onto the scalp and through your hair. Leave it on for few minutes and rub some conditioner onto the scalp. Using a toothbrush or head lice comb, brush your hair thoroughly. Repeat this treatment once in a week for at least 1 or 2 months. If you think this process is a little messy, then you can apply alcohol using a cotton ball. Pour some alcohol into a bowl. Dip the comb in the alcohol and comb your hair. Dip the comb in alcohol before each stroke of combing. Repeat the process until the all the hair is wet. Leave it on for few minutes and comb thoroughly to remove head lice. Wash normally with shampoo and water. Repeat the process 2 – 3 times a day. This process is less messy than the above one. Lavender oil is a natural insect repellent. Its smell is disliked by the head lice which affects its survival and reproduction. In a spray bottle, add enough amounts of isopropyl alcohol and few drops of lavender oil. Spray the mixture onto the scalp and throughout the hair. As soon as the hair is wet with the mixture, comb the hair thoroughly. Wash your hair normally with shampoo and water. Repeat the process once in few days to remove the newly hatched ones as well. Alternatively, you can avoid lavender oil and dilute alcohol with water. The high amount of acetic acid present in vinegar kills the head lice and also helps in loosening the grip of nits or eggs. Combine equal amounts of rubbing alcohol, baby oil, and vinegar. Stir well and apply the solution on the scalp and along the hair. Cover the hair with a shower cap or swimming cap. Let it rest for 1 hour and comb the hair thoroughly. Rinse your hair normally with shampoo and water. Mix 4 tablespoons each of rubbing alcohol, vinegar, and bleach. To this mixture, add enough amounts of water and stir well. Pour the solution into a spray bottle. Shake the bottle well and spray it onto the scalp and hair thoroughly. Cover the head with either swimming cap or shower cap. Leave it overnight and comb the hair thoroughly in the next morning. Tea tree oil contains insecticidal properties which kill the head lice, loosen the grip of nits and soothe the irritated scalp caused by scratching. Combine 4 oz. Of rubbing alcohol and 20 drops of tea tree oil. Pour this solution into a spray bottle. Shake the bottle well and spray the solution on the scalp and along the hair. Leave it on for an hour and wash the hair normally. While the hair is still wet, divide the hair into manageable sections. Using a nit comb, go through every section. Alternatively, you can use any essential oil (olive oil or coconut oil) instead of tea tree oil. Users should be aware that alcohol is highly flammable. Don’t use hair dryers, curling irons or flat irons while the hair is still wet. Never smoke near a person who is receiving the treatment. Sometimes, application of alcohol directly to the scalp can cause chemical burns especially if you have been scratching vigorously. It can damage the hair follicles as well. So make sure to patch test before trying out regular treatments. Alcohol can dry the scalp, it is recommended to drink plenty of water or apply oils. Avoid person to person contact with an infected person. If one member of the family is having head lice then everyone else should keep monitoring their heads regularly. This helps in catching the infestation earlier. Wash the bed sheets regularly with hot water. Vacuum or treat your furnishing regularly. Did you find this article? Do you have any doubts or suggestions? Feel free to share your experience with us in the comments section below. How many minutes for the alcohol rub? And does it have to be 70 can it be 80 or is that to much on the scalp? Is it safe to use on a 2 yr old? Is 50% alcohol good?I’ve been using for a few weeks now,I just pour it till my hair is soaking and then wrap it in a plastic bag for about an hour. I also do this treatment on my daughter it killed all of hers but still had some nits so I’m continuing the treatment till they are all gone…Should I leave it longer or an hour is enough? && How many times should I repeat the treatment? Also, My husband says to keep doing treatment every day for an hour for 2 weeks straight do you think this will eliminate the infistation or should I do it for a month? Yes, it is ok. You can leave the application for an hour. You can repeat the process 2 – 3 times in a week for a month to get rid of the infestation completely. can I use 95 percent alcohol? Nope. You have to use rubbing alcohol that contains 70% solution in isopropyl alcohol. I have used 90 and 91 percent over night worked great! HOW LONG CAN I KEEP ALCOHOL IN MY HAIR??!?! It depends on the method you are trying. We have specified timings in each method. Don’t leave it more than the above mentioned timings. I have used the green rubbing alcohol for the treatment of head lice for over 20 years. I have found that it works best for me when I soak the kids hair, then wrap it in a thin towel and soak the towel as well. I leave it on for 30 minutes to 1 hour. While the hair is still wet, I use a lice comb and comb until it comes out clean. After I shampoo their hair with tea tree shampoo and conditioner. I use the shampoo twice a week for 2 months and the alcohol 3 time a week for 2 months. I usually don’t have any other problems after that. I also spray their bedding and furniture with alcohlo every day for 2 months. Hi, how much alcohol % do you get? I was wondering about treating bed linens with alcohol by spraying? Or could you add alcohol to the wash ?? How long do you keep the alcohol on your head. You can leave it for 5 minutes maximum. My daughter has scaly like patches on her scalp, can that be a cause of lice infestation? And will the alcohol burn her head from scratching? We recommend getting a physical examination with a doctor to know the right reason behind the scales. Don’t try any remedy until you know the exact reason. Why only 70% ? I only have 91% so will it still be affective ? Help!!! Can I spray 70 percent isopropyl alcohol on clothes and bedding that has been around Lice!!??? For process 2 with bleach, will this color my daughters hair and how much water should I mix with the alcohol, vinegar and bleach ? Doesn’t bleach and vinager cause a deadly vapor??? I had to call poison control and leave my house till it cleared when I did that in my laundry. How it that safe?? Process 2… rubbing alcohol, vinegar, and bleach. What? Chlorine gas and chloroform should kill the bugs, and your children, and yourself. Repeat… never, because you’ll all be dead! Agreed! That was my thought!!! DO NOT USE THIS METHOD!! I bought a bunch of bottles of 95 percent. What is the difference ?will it still work? How long should I leave it on?